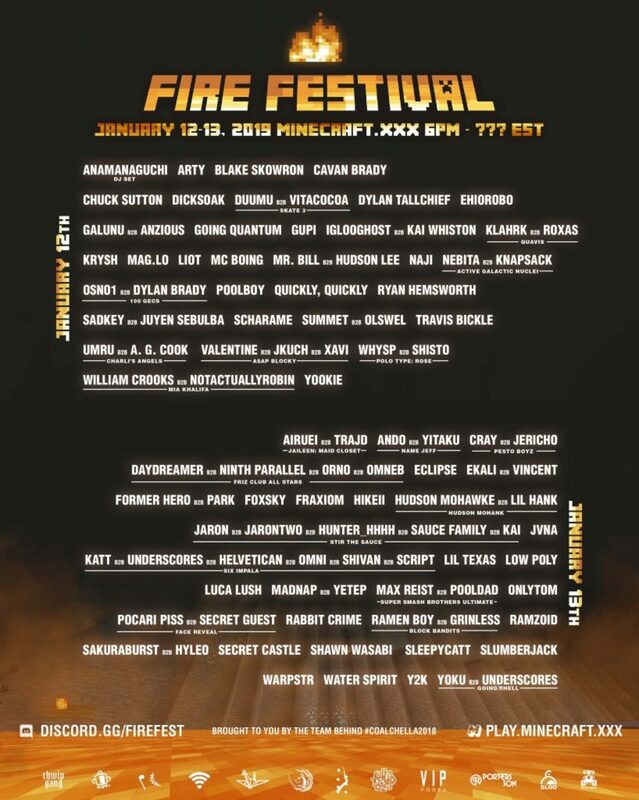 Some of the biggest names in dance music will take the stage at Fire Festival 2019 (no relation to Fyre Festival), a virtual music festival hosted inside the popular video game, Minecraft. Ekali, Hudson Mohawke, ARTY, Luca Lush,and more will be headlining the virtual festival alongside dozens of underground and up-and-coming performers. Starting at 6:00 PM EST, fans can join in on the final day of Fire Festival 2019. Joining the festival is simple. There are three main components to the festival, the music stream, the Discord server, and the virtual festival grounds. While the festival is open, fans can go to the official Fire Festival 2019 website and tune into the stream to hear the music. To chat with other attendees at the festival, fans can head over to the official Discord server to be connected to attendees all over the world. If a fan has a copy of Minecraft for PC/Mac they are welcome to join the Fire Festival server and wander the digital festival grounds. Information on how to join the server is located on the official Fire Festival 2019 website. 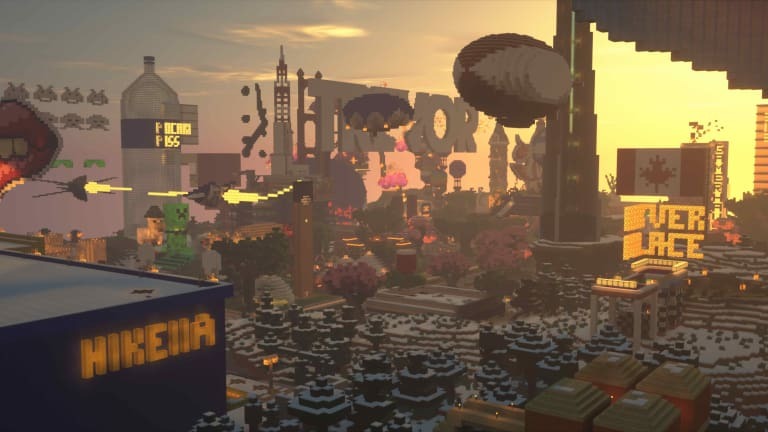 You do not need to own Minecraft to listen to the stream or chat with other attendees; however, the virtual festival grounds will require a copy of the game. Please note: this does not apply to the console or mobile editions of Minecraft, Fire Festival 2019 will only support the PC/Mac version.